August 29th was a very very bad day in Hungarian History. 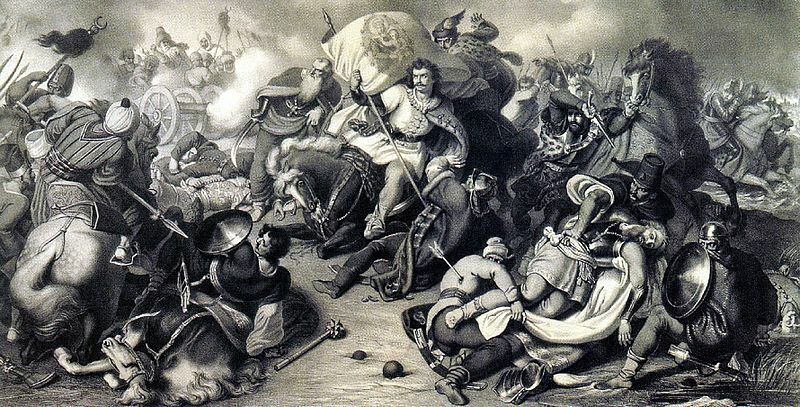 On that date in 1526, the Hungarian army, led by young King Lajos, was defeated by the Turkish forces of Suleiman the Magnificent at the Battle of Mohács. In retreat from the bloody battle, Lajos fell off his horse crossing the river. Weighed down by his armor he drowned. More than 14,000 Hungarian soldiers were killed. This terrible loss led to political chaos as the Kingdom of Hungary was split in three. Northwestern Hungary was annexed by Austria and ruled by Lajos’s brother-in-law, the Habsburg Archduke of Austria Ferdinand I. The eastern part became the independent Principality of Transylvania. The remaining central area, including the capital Buda, fell under the control of the occupying Ottomans for the next 150 years. There are a number of video-game representations of the battle on YouTube with varying degrees of violence. While I know of no ancestors who were involved in the battle, it was interesting to imagine the fighting Édes family a century later in northern Hungary. Did they wear armor and ride horses? Or more likely, dress in hides for some protection and march to battle? According to legend, the residents of Mohács fled to the woods and swamps to avoid the Turkish soldiers. 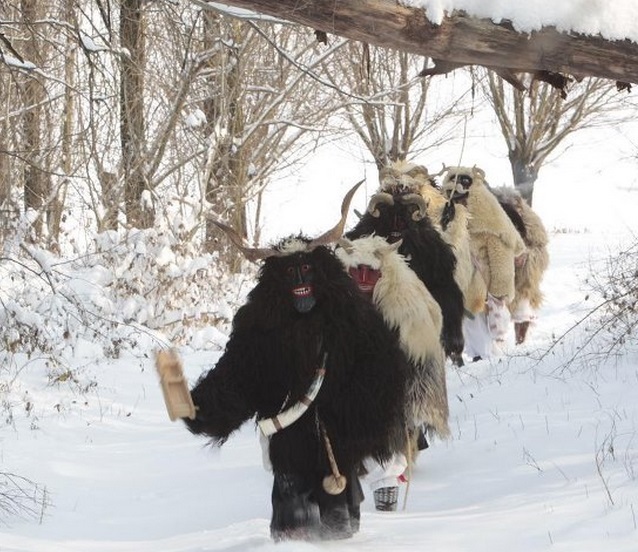 They carved frightening masks and dressed in big woolly cloaks to resemble busó monsters, and returned to town late one night making terrifying noises and scared the Turks away. The legend lives in the annual end of winter festival, the Busójárás (Hungarian, meaning “Busó-parade). According to Unesco, “ more than 500 busós arrive in rowboats on the Danube for a march through the city alongside horse-drawn or motorized fantasy vehicles.” There are lots of family events and a beyond-rowdy bacchanalian parade. The trauma of the defeat persists in the consciousness of Hungarians. In times of misfortune, they still say: “more was lost at Mohács” (Több is veszett Mohácsnál). Thousands dead, the Kingdom lost. No matter how bad your day, it must be better than that! This entry was posted in 1500s, Austro-Hungary, Hungary and tagged Busójárás, Hapsburgs, Hungarian History, Mohács, Ottoman, Winter festival by edesorban. Bookmark the permalink. Here’s a link with great pictures of the Buso Festival in Mohács by my friend Tamás Soki (https://sokitamas.exposure.co/carneval-on-mohcs)!